Franchising is a business concept that allows qualified investors to become part of an established, existing "system." A good way to look at franchising is, you're in business for yourself, but not by yourself. Strategically, this provides many benefits under a brand name that has consumer awareness and equity. 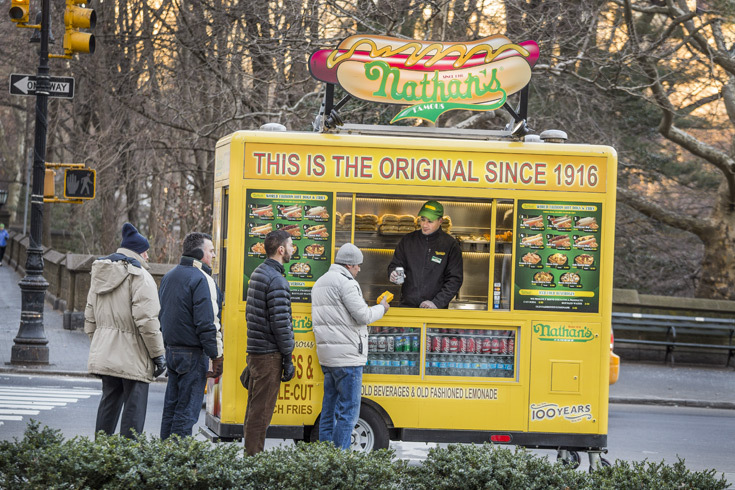 Nathan's has taken this basic premise and redefined it to exceed the most stringent business criteria of today's investor. Nathan's offers a wide range of restaurant designs and customized equipment, thereby offering business opportunities to qualified candidates regardless of space constraints or investment limitations. High profits, low costs and great returns! Currently, the following states regulate the offer and sale of franchises: California, Hawaii, Illinois, Indiana, Maryland, Michigan, Minnesota, New York, North Dakota, Oregon, Rhode Island, South Dakota, Virginia, Washington, and Wisconsin. Within the U.S.A., we offer franchises solely by means of our Franchise Disclosure Document. There are also countries outside the U.S.A. that have laws governing the offer and sale of franchises. If you are a resident of one of these states or countries, we will not offer you a franchise until we have complied with pre-sale registration and disclosure requirements that apply in your jurisdiction. 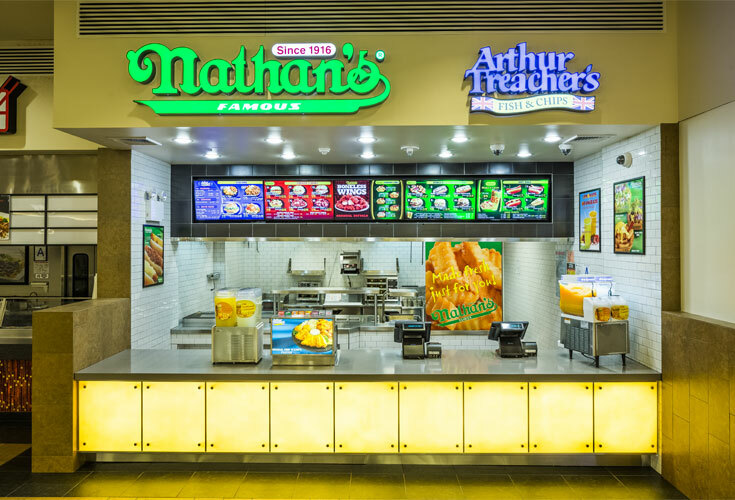 Your Nathan's Franchise Development & Operations Teams will assist you with site selection, design, training, preopening assistance, marketing and ongoing support. Our Franchise Business Consultants have years of experience in the QSR industry. The focus of their responsibility will be to assist you and your management team to maximize sales and profits. They will make periodic visits to your location to conduct business consultations. Our three week certification training program - Frankfurter University - provides top-of-the-line hands-on and classroom training conducted by a dedicated, certified training manager. Looking for more information about Nathan's Famous? Take a moment to fill out our quick information request form.